This presentation takes a look at the changing world of Db2 for z/OS, which is always changing, adding more features and functionality… and discarding old stuff, too. If you are still using Db2 the same way you did 20 years ago, or even 10 years ago, you are probably doing things wrong! 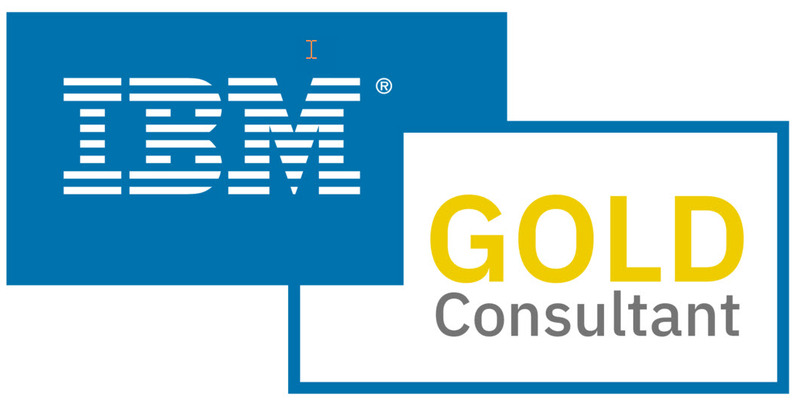 This presentation takes a look at how things are changing, not just with Db2, but also with IT and the industry. It is delivered in two parts: first looking at industry and DBA trends, and then looking at some of the specific changes made in the past few versions of Db2 that should impact how you use Db2. There is a veritable boatload of information and details about Db2 for z/OS available to you. But can you digest it all? Wouldn't it be nice if you could focus on the things that were the most important for you to know instead of wading through thousands of pages of manuals, web pages, and presentations? This session will distill the essence of what you need to know into the top ten most important issues for the two biggest categories of DB2 users: application programmers and database administrators. This presentation offers a count down the top ten most important things you need to know. Along the way we will uncover what is most important for DBA, developers, and managers to understand about Db2 for z/OS. If you are interesting in understanding the hierarchy of Db2 performance tuning objectives, and moving further along in your mastery of Db2 performance, this this presentation will help. Hopefully if you are in the area you will stop by to spend some time at the event. If so, I look forward to seeing you there! 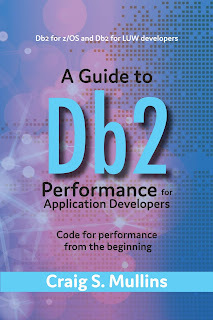 A Guide to Db2 Application Performance for Developers - New Book on the Way! Those of you who are regular readers of my blog know that I have written one of the most enduring books on Db2 called DB2 Developer's Guide. It has been in print for over twenty years in 6 different editions. Well, the time has come for me to write another Db2 book. The focus of this book is on the things that application programmers and developers can do to write programs that perform well from the beginning. You see, in my current role as an independent consultant that focuses on Db2, I get to visit a lot of different organizations... and I get to see a lot of poorly performing programs and applications. So I thought: "Wouldn't it be great if there was a book I could recommend that would advise coders on how to ensure optimal performance in their code as they write their Db2 programs?" This was a similar thought I had way back when before I wrote my first book. At that time, back when the only manuals available were printed and housed in binders, I thought "Wouldn't it be great if there was a single book that captured the essentials of what you need to know to administer and use DB2?" There really wasn't, so I wrote that book. Well, again, there really isn't a book that focuses on just what programmers should know to write efficient programs. So I figured it was time to write another book. 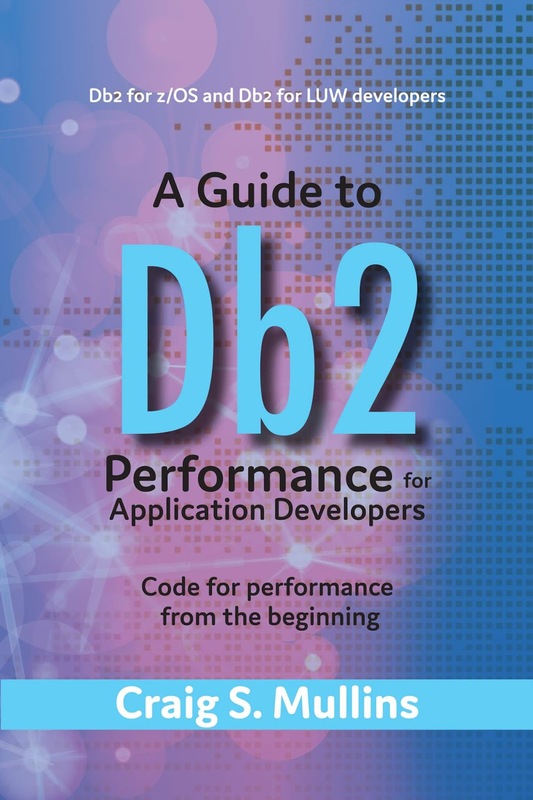 This one is called A Guide to Db2 Application Performance for Developers. This book is written for all Db2 professionals, covering both Db2 for LUW and Db2 for z/OS. When there are pertinent differences between the two it will be pointed out in the text. The book’s focus is on develop­ing applications, not database and system administration. So it doesn’t cover the things you don’t do on a daily basis as an application coder (like reorgs, backups, monitoring, etc). Instead, the book offers guidance on application devel­opment procedures, techniques, and philosophies for producing optimal code. The goal is to educate developers on how to write good appli­cation code that lends itself to optimal performance. By following the principles in this book you should be able to write code that does not require significant remedial, after-the-fact modifications by performance ana­lysts. If you follow the guidelines in this book your DBAs and performance analysts will love you! The book does not rehash material that is freely available in Db2 manuals that can be downloaded or read online. It is assumed that the reader has access to the Db2 manuals for their environment (Linux, Unix, Windows, z/OS). The book is not a tutorial on SQL; it assumes that you have knowledge of how to code SQL statements and embed them in your applications. Instead, it offers advice on how to code your programs and SQL statements for performance. What you will get from reading this book is a well-grounded basis for designing and developing efficient Db2 applications that perform well. Planned publication for this book is late September 2018. News of its publication and how to order will be on my web site when the book is available. Security, Compliance and Data Privacy – GDPR and More! Practices and procedures for securing and protecting data are under increasing scrutiny from industry, government and your customers. Simple authorization and security practices are no longer sufficient to ensure that you are doing what is necessary to protect your Db2 for z/OS data. The title of this blog post uses three terms that are sometimes used interchangeably, but they are different in what they mean and imply. Data security is the protective digital privacy measures we can apply to prevent unauthorized access to computers, databases and websites. Then there is compliance. This describes the ability to act according to an order, set of rules or request. In this context we mean compliance with industry and governmental regulations. Finally, there is data privacy (or data protection). That is the relationship between the collection and dissemination of data, technology, the public expectation of privacy, and the legal and political issues surrounding them. Data privacy and data security are sometimes used as synonyms, but they are not! Of course, they are related. A data security policy is put in place to protect data privacy. When an organization is trusted with the personal and private information of its customers, it must enact an effective data security policy to protect the data. So you can have security without data privacy, but you can’t really have data privacy without security controls. Register and attend my webinar with the same title as this blog post, Security, Compliance, and Data Privacy - GDPR and More! (August 9, 2018), to hear more about this. I will also talk about data breaches, regulatory compliance (with a special concentration on GDPR), the importance of metadata, things you can do to address security issues at your shop, and closer look at Db2 for z/OS security issues, features, and functionality. I hope to see you there on August 9th! Register and attend at this link.